Originally from a small town in Lake Jackson, Texas, Kevin Nardo attended UTSA to become a electrical engineer in 2014. He worked tremendously in his field, either troubleshooting and redirecting oil into various pipes or testing why certain pipes were failing. After a couple of years, Nardo chose to get involved into the business of education and teach the students of the Engineering and Technology Academy at Roosevelt High School with his background in STEM. 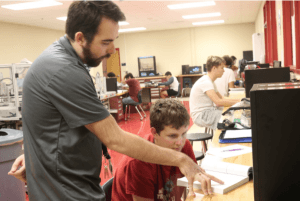 As a first year teacher, Mr. Nardo teaches three different courses including engineering math, robotics, and the aerospace class. The addition of Mr. Nardo filled the spot vacated by Ms. Moreno last year. Students get to have hands-on experiences and learn engineering concepts both in his class to prepare for their careers post-college. 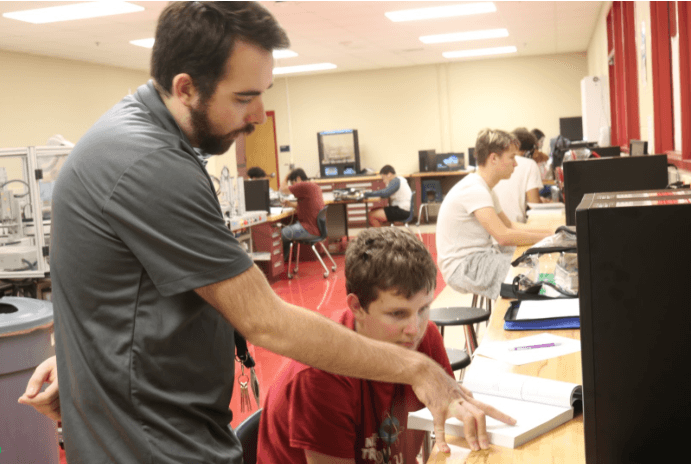 Although he has a background in engineering and is qualified to teach the rigorous courses provided being in the engineering and technology academy, there’s more to teaching than meets the eye.